Materials Science studies and exploits in depth the microstructure-properties relationships of the materials in atomic, micro-, meso- and macroscopic scale. Dr.-Ing. Spyros Papaefthymiou is a Mining & Metallurgical Engineer with more than 10 years of industrial background and five years of academic experience. He emphasizes on the cooperations and synergies as a prerequisite for social, industrial and individual progress. Bridging the gap between academia and industry is an absolute necessity and a priority for me. The most effective way to adapt to change, to open new ways is through knowledge and cooperation. SYNERGIES between Society & Universities, Prefectures & Municipalities, synergies in Politics and between Public & Private Sector. In a world of innovation and specialization, new knowledge creates significant added value. Of course specialization should not block us from facing the whole picture. We need a holistic approach with emphasis in knowledge. Vision, hard work, cooperation and meritocracy are needed in order for Greece to become stronger in 2030 and to leave the years of crisis (2008-2018) behind. Initiatives of Dr.-Ing. S. Papaefthymiou (interviews, articles etc.) to broader outreach of scientific and social issues emphasising in the synergies between academia, private and public sectors. 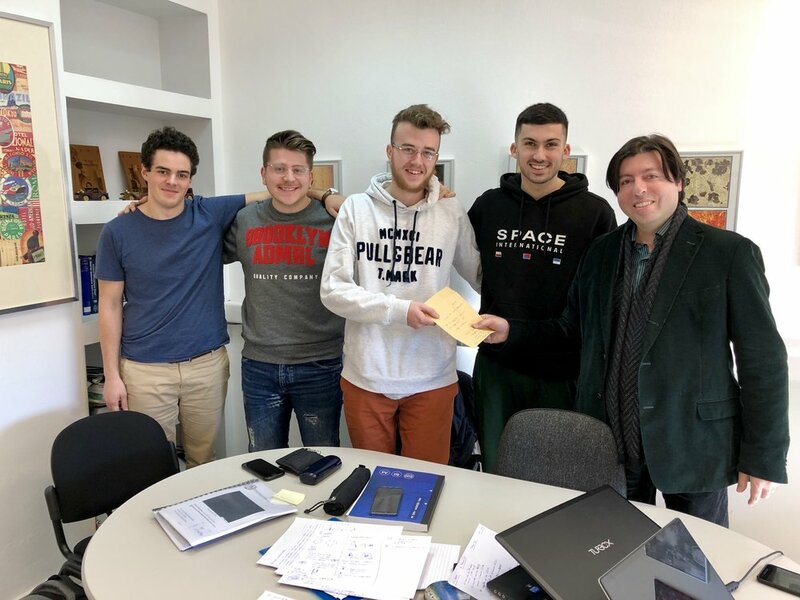 The “Synergies” (https://synergeies.com/) actively support the efforts of the student team “RadiNOx” for their participation in the “CanSatin Greece” competition, which is organized by “Spin” and is supported by the “European Space Agency”. For this purpose, apart from the scientific support (by Asst. Prof. Dr.-Ing. S. Papaefthymiou), “Synergies” donated the necessary amount for the purchase of the materials to construct the satellite. Hellenic Research Centre for Metals- ELKEME S.A.